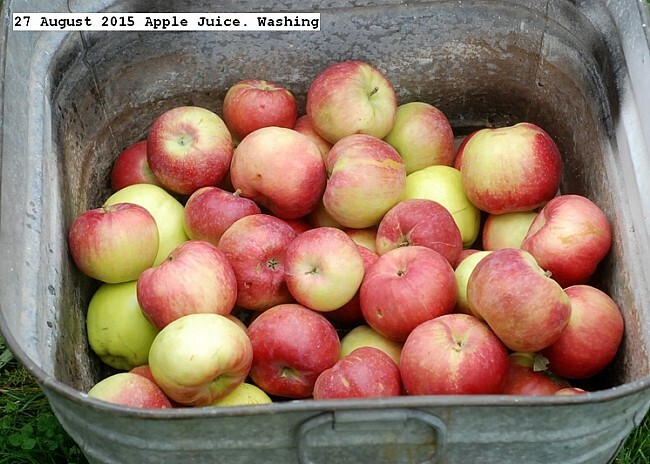 Twenty pounds of apples were purchased for 12 dollars and made into 14 liters of juice. The apples were washed, quartered,water added about ten liters, cooked until soft, blended into a slurry, strained, placed in liter jars, and pressure canned in two batches of seven at 15 PSI for 15 minutes.The whole apple as used with nothing but water added to make drinkable. This entry was posted in Uncategorized and tagged 27 August 2015 Apple Juice, Apple Juice. Bookmark the permalink.